Ben Steere (’03) is a runner whose journeys of solitude provide him time to turn things over in his head. When he reflects on his Wake Forest experience, two things come to the fore: mentors and opportunities. 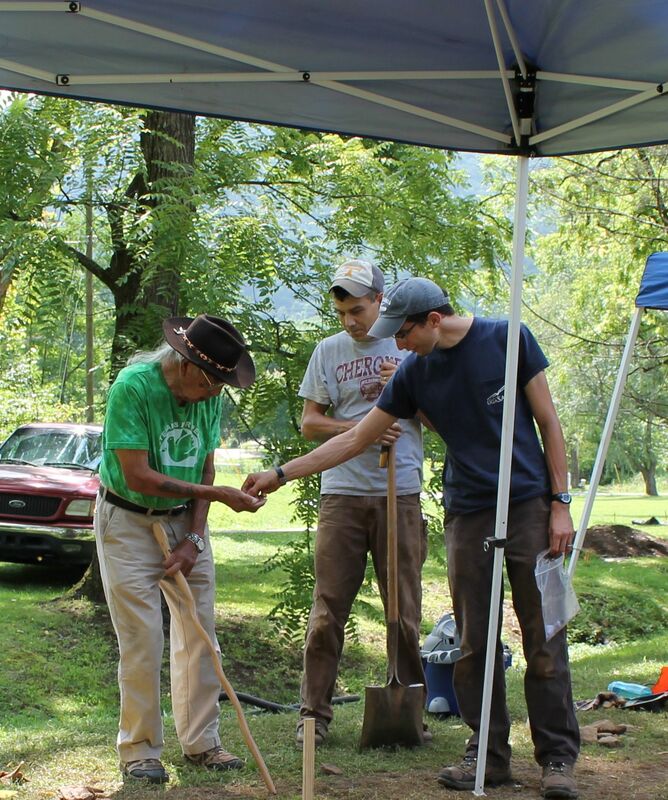 Ben Steere (right) with Cherokee Beloved Man Jerry Wolfe (left) and Tribal Archaeologist Beau Carroll (center) at the Boundary Tree archaeology site in Cherokee. Ken Robinson (’75), then director of public anthropology, took Steere on as a summer intern, making it possible for the young student to experience his own personal field school. 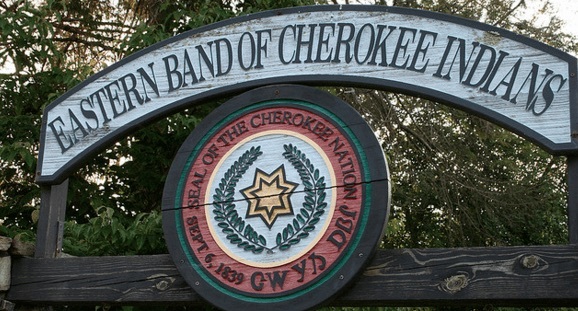 Cultural anthropologists like Margaret Bender introduced him to Cherokee culture, while Jeanne Simonelli and Steve Folmar modeled collaborative research, engaging with the indigenous communities within which they worked. “I cut my teeth on those experiences and decided early on I wanted to do collaborative archaeology,” he said. 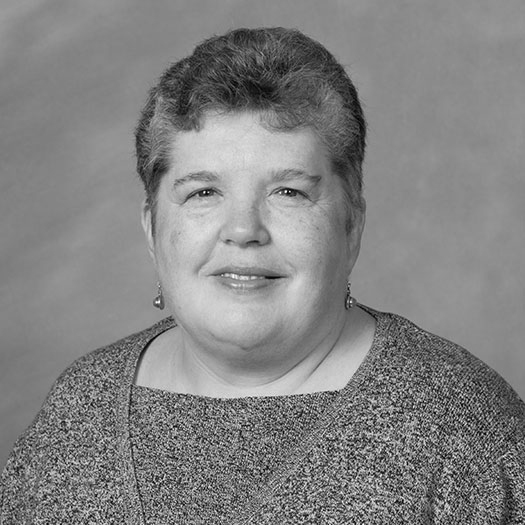 After teaching for three years at the University of West Georgia, Steere was anxious to return to North Carolina. He landed his “dream job” as assistant professor of anthropology at Western Carolina University in Cullowhee, where, in addition to teaching, he continues his work with the Cherokee. 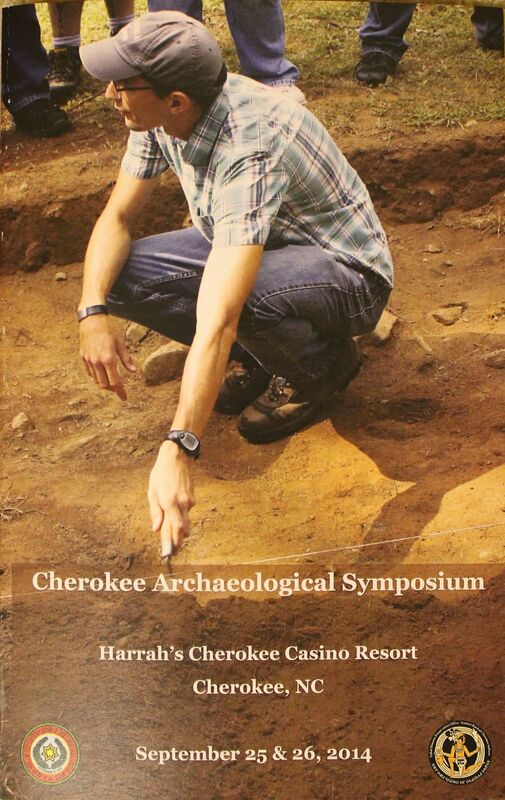 In this cover photo from the 2014 Cherokee Archaeological Symposium, Ben Steere talks with visitors at the Boundary Tree archaeological site. He is married to Elizabeth Lee Steere (’03), who was a member of the Lilting Banshees comedy troupe, and said he “misspent” many a fun hour with those friends as well as his fellow RAs. The couple have two sons.